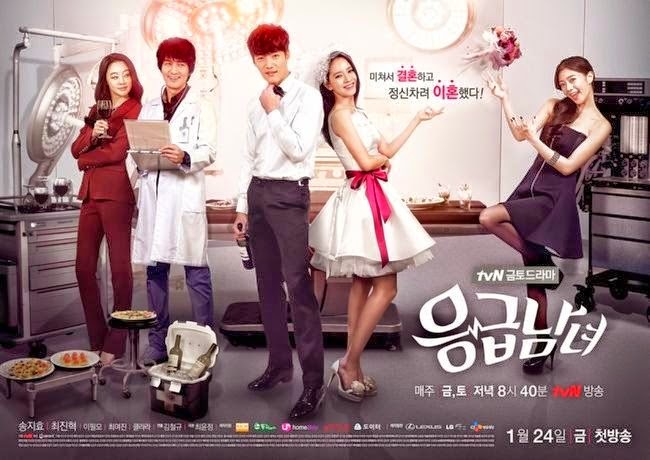 "Emergency Couple" only has 2 more episodes left, but it's not the end yet. tvN decided to broadcast a special music talk show called "Reply with Music - Emergency Couple". This special talk show is scheduled to broadcast on April 19th, and it will have the same concept as "Reply 1994 with Music" back in last January. Because of the success of the previous show so it's also expected to receive lots of love from viewers. Shin Hyun Jun, Park Ji Yoon, Jang Dong Min and Shin Bong Sun will be MCs for this talk show. The main cast from the drama including Choi Jin Hyuk, Song Ji Hyo, Lee Pil Mo, Choi Yeo Jin will also present in the show. In addition, Lim Jung Hee, Park Shi Hwan, 3rd Coast, Ju-A will be invited and perform their own OSTs in the drama. If you are an avid fan of "Emergency Couple" , this talk show is a must watch so don't miss the premiere of it on April 19th.